* Essential gift for every shooter * Hilarious cartoons from Britain's most popular outdoors illustrator Missed again! Now you have an excuse, or 101 to be exact. This little book is the answer for any shot that misses from time to time and needs to explain why. "The bird swerved, I'm stiff from too much shooting, my wife ran in, I'm missing intentionally to make them fly higher, her diamonds are making them flare..." They are all here. 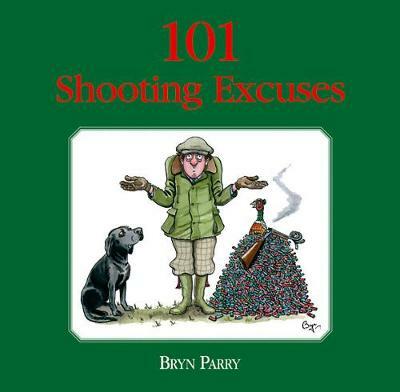 Bryn's wonderful cartoons illustrate his excuses and make this book the essential gift for every shooter.